Parker Gates was a radio enthusiast. At the age of 14, he developed a radio receiver. His parents, Henry C. Gates and his wife, Cora B., helped Parker found Gates Radio and Supply Company in 1922 at their Quincy, Illinois apartment. Other early inventions by Parker Gates were a transcription turntable, the remote amplifier (for live broadcasting outside of a radio studio), and a condenser microphone. The first AM radio transmitter was produced in 1936. In 1945, Gates applied to the FCC to build what would have become WFAR(AM). Apparently construction never occurred due to a technical challenge from several St. Louis stations. Instead, in 1948, Gates and Quincy Newspapers joined to buy a large share of Quincy Broadcasting, operators of WGEM radio. Two years later, Gates decided to concentrate on manufacturing and sold his share of Quincy Broadcasting. Gates would often use model numbers on his products to honor others. For example,. the CB in the CB-77 turntable was to honor his mother, Cora B. Gates. The industry changed a bit in the early 1950s, as many Class IV stations raced to implement a power increase to 1 kW daytime. A number of manufacturers developed low cost transmitters and other equipment specifically to cash in on the "upgrade" fever. As price points were "sensitive," each company tried to provide the "best value," and gear started to be made more cheaply. 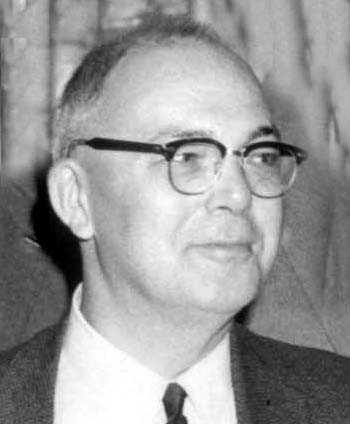 The term at Gates was "Value Analysis," led by George Dively. During the time when "value" manufacturing hit its peak, in 1957, Gates Radio Company was purchased by Harris Intertype Corporation (now Harris Corporation). Sadly, Gates Radio began to acquire the moniker "Quincy Tin Works" as it sought ways to cut costs of manufacture. Some commentators remark about the "time line" between early Gates equipment that was "solid, well built, reliable" and "cheap, sort of OK, difficult to maintain" products. This was not said to be in harmony with Gates' reputation. Phil Alexander notes: "The "Quincy Tin Works" moniker came about through George Diveley's edict to build products at a lower cost once Harris-Intertype bought Gates Radio. Although Parker Gates stayed for 10 more years as President, the major policy directives came from Cleveland. Both cosmetic and cost surgery started with the cabinets. Square corners are so much cheaper than anything more esthetic. Harris insisted on a VA (value analysis) program which was a major buzzword when they bought Gates in the late '50's. Ed Gagnon was their PR honcho at the time and he headed up the program. The directives came from Cleveland, not from Parker Gates. This gave birth to the BC-1T (tin can) succeeded a few years later by the 1G." In 1975, Harris dropped the "Gates Radio Division" and relabeled the products as "Harris." 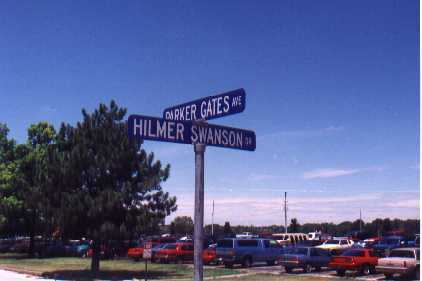 In 1992, Harris Corp. held a 70th anniversary celebration for the Gates division, naming a street in Quincy in honor of Parker Gates.